With warmer weather comes my itch to get outdoors and spruce up my gardens. I love nothing more than spending an afternoon in the flower garden, pruning back dead leaves or planting new blooms. With that in mind, I thought about adding some water features this year. I love a good water feature. To me, there is nothing more relaxing than sitting by a body of water and just lazing the day away. So, I started looking for some DIY garden ponds to add to my flower garden. 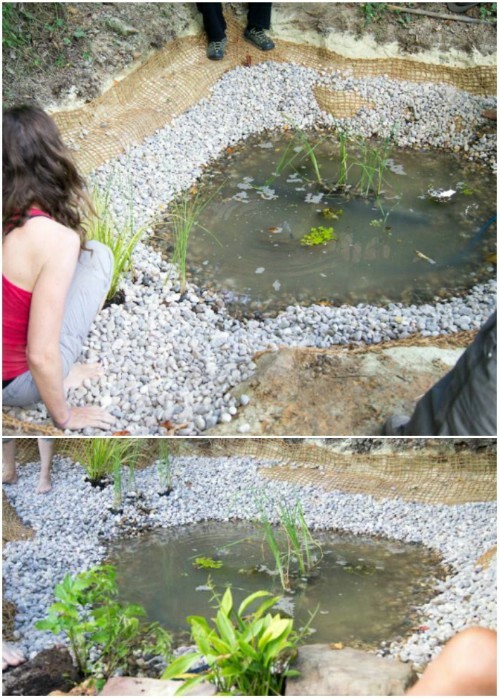 I found 15 of the most amazing DIY garden ponds that are so cheap and easy to build that you are definitely going to want to put in one of these this spring. I love cheap and easy. 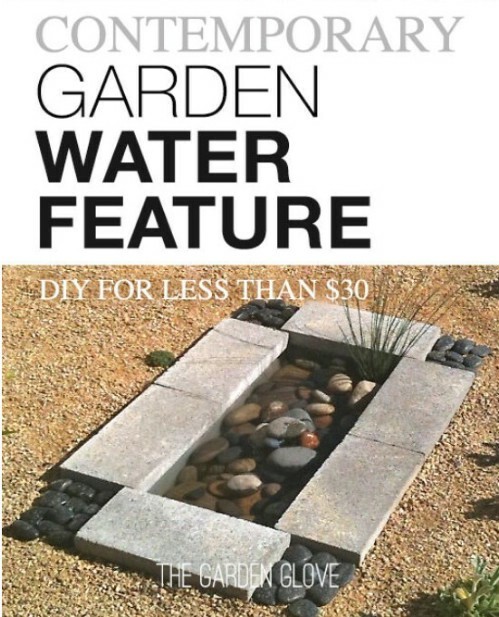 Anything that fits into my budget is a winner in my book and all of these DIY garden ponds are low cost to build and to maintain. If you really want to add some decorative features to your flower gardens, you just have to take a look at some of these. 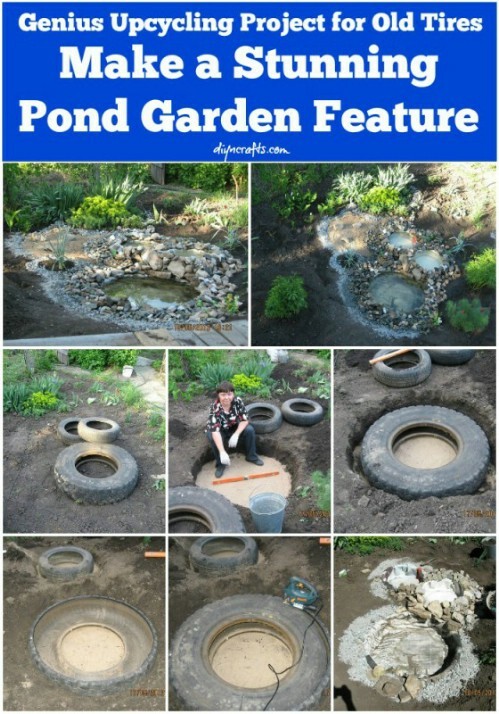 From upcycled tires to outright digging it yourself, you have so many options with regards to how you can build your garden pond. And, these DIY versions are so much less expensive than having one put in by a landscaping company. You’re also going to want to check out these 70 summery backyard DIY projects. There are things in here that you will absolutely want to add to your lawn and garden this year. 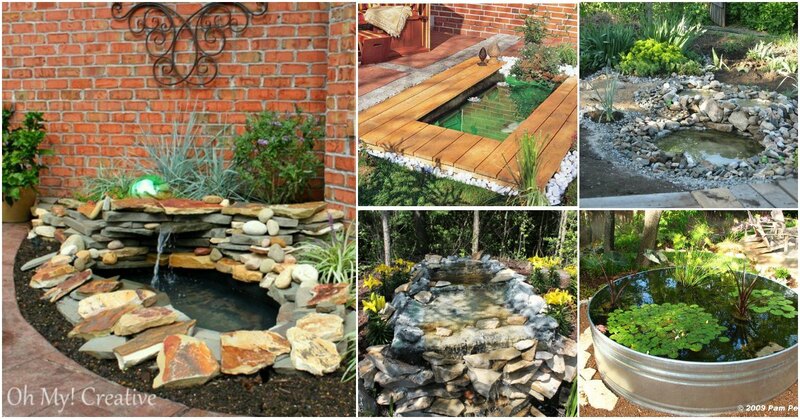 I can’t wait to get started on adding a beautiful and relaxing new garden pond to my backyard this spring. I may even add another to my front yard – I have flower gardens in both! These would look so gorgeous in the middle of a flower garden or you can just put them wherever you want to add some extra décor. You should also take a look at these 17 DIY garden edging ideas that you can make out of really inexpensive materials. They will be perfect for edging in your flower garden. 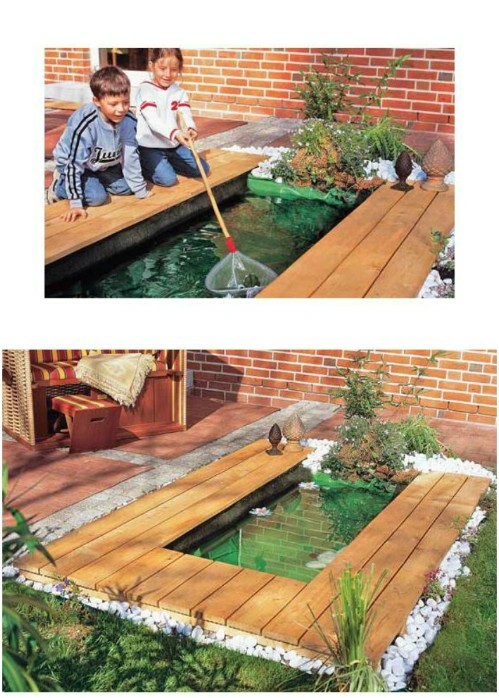 You can build your own backyard pond in a weekend with the right tools and supplies. This one uses patio pavers or rocks as well as a traditional pond liner, all of which you can get at your local home improvement store. Your actual cost will depend on the materials and tools that you already have on hand but you can make this one really budget friendly if you have a few bricks or patio pavers that you can repurpose. 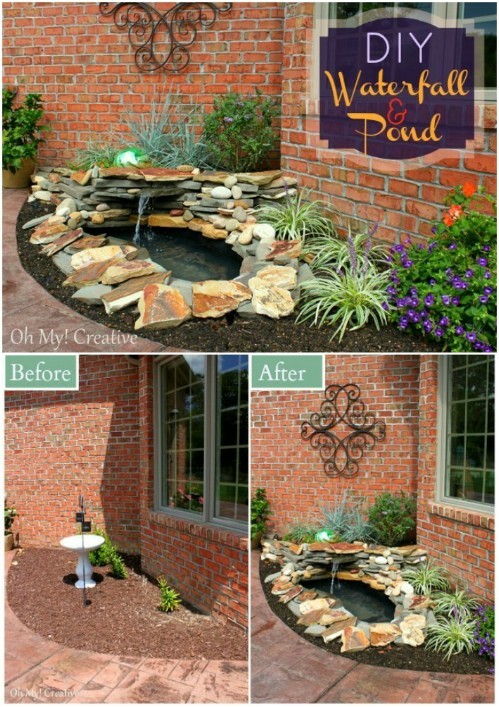 You don’t have to spend a fortune on a premade backyard pond form. 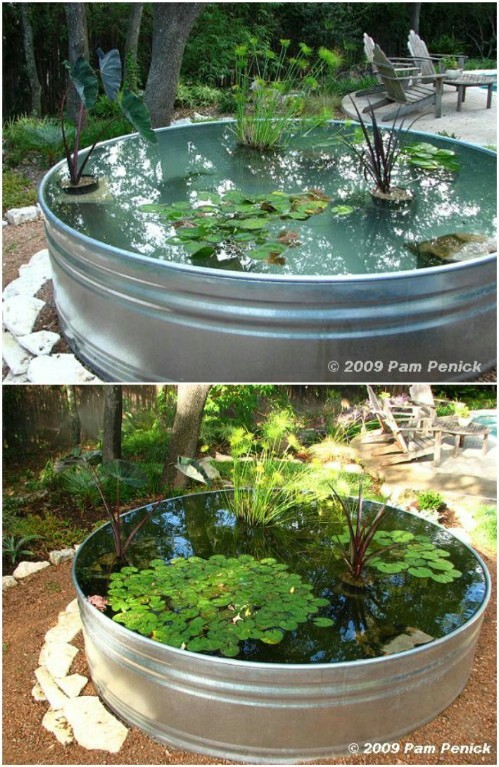 You can simply turn an old Rubbermaid plastic container into your garden pond and save that money for other things. This one is really easy and if you have a rather large plastic tote that you can use, it is also really cheap to build. Add a fountain, some river rock and something for the edges and you have a gorgeous garden pond on the cheap. This container pond is perfect for placing on your patio. It is a really easy one to set up and you add a light so it is the perfect garden pond for relaxing beside on those warm spring and summer evenings. 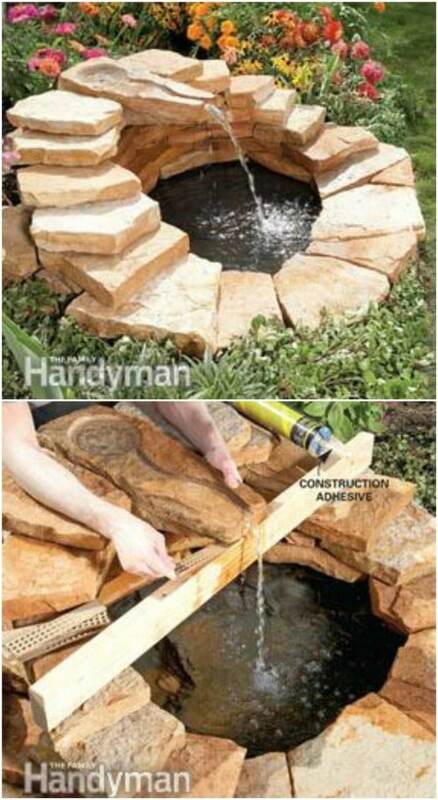 You just need a large container and a few other supplies to make this one and it’s a pretty cheap garden pond to build. A relaxing DIY Zen garden is the perfect addition to any backyard. Here is another beautiful container pond that is perfect for adding a bit of unique style to your garden. You need a couple of containers for this one and you can pick up rather cheap ones from the Dollar Tree or Dollar Store for this. The fountain bubbles above the pond, giving it the perfect relaxing sound. You can easily have this one completed in an afternoon. 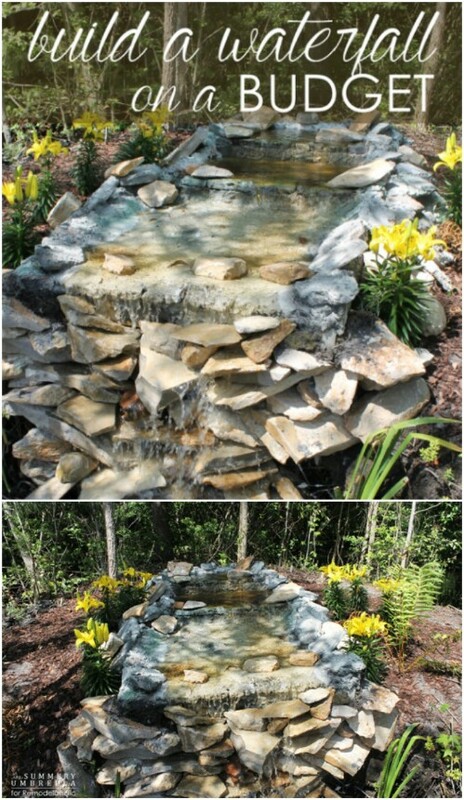 Those patio pavers or river rocks are perfect for creating this DIY garden pond that has a handmade rock fountain at the top. This would be beautiful in the center of your flower garden or you could place it anywhere that you want to add a bit of style and design. Add some water lilies when you’re finished and it’s a beautiful addition to any landscaping. A DIY Paver fountain is a beautiful way to decorate your outdoors. To make a garden pond, you simply need something that will hold water. An old stock tank makes a wonderful choice. This one is so easy that you can have it set up in just a couple of hours. You can bury the tank so that it is ground level or just level it up and add water. Add some rocks and plants around it and you’ll have a quick and easy garden pond that costs just a fraction of one that is professionally designed. If you happen to have a garden pond form – you can pick these up at home improvement stores and they aren’t that expensive – you can build a gorgeous custom garden pond by just inserting the form into the ground and adding some beautiful river rock or slate. River rock can be found in so many places and if you are lucky enough to have it near your home, you can often get it for free. 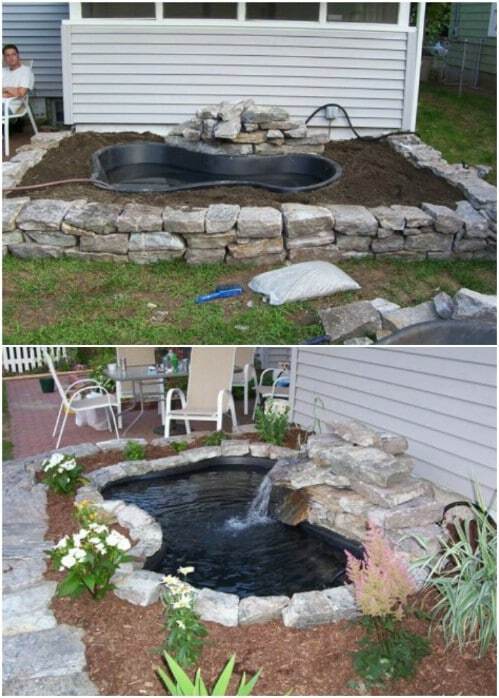 Those rocks that you pick up out of your yard make the perfect base for a gorgeous garden pond. This one has a lovely waterfall, that you also create from rock. If you happen to have a lot of rock on your property, you can build this one for just the cost of the liner and pump. If you don’t have any rock to use, check with friends and neighbors. Chances are that they will gladly give it to you if you simply remove it from their yards. If you have an old tractor tire, you can use that to create a lovely outdoor pond. This one is really easy to build and if you have the tire on hand, it doesn’t cost much at all to get it up and running. There are so many things that you can do with an old tractor tire. Recycled tire DIY projects are wonderful and they help you to reuse those old tires and keep them out of the landfill. There are so many beautiful ways to upcycle old tires. If you want something really simple and really ecological, this liner-less natural garden pond is it. 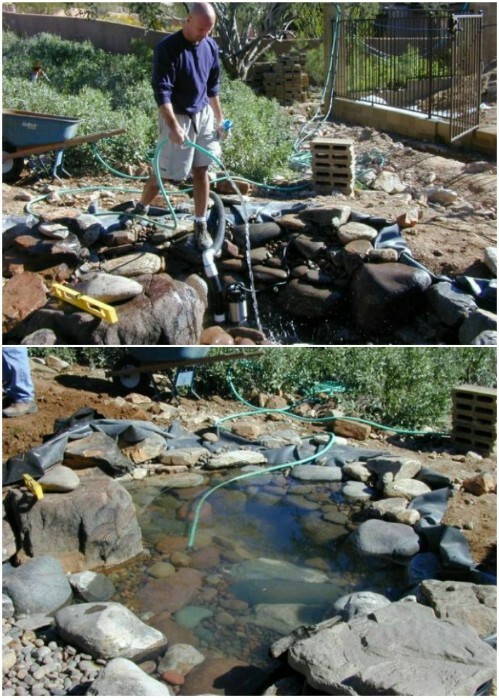 You don’t need any sort of liner, which makes the setup much easier than most garden ponds. Bentonite clay acts as the liner to keep water from being absorbed into the ground. This one is really gorgeous when it is finished and you can build it for just the cost of the clay, which isn’t much. If you want to add goldfish or Koi to your garden pond, this is a great one to build. It is so easy – you just dig it out, add your liner, and then choose the rocks and other decorations that you want to add. This is great for keeping those little fish and you could easily add a waterfall feature as well if you want. Just be careful to block the pump with mesh to keep your fish from being sucked into the waterfall. Some old pallets can be recycled to make the deck for this modern rectangular pond. I love DIY pallet projects. Or, you can use any boards that you have on hand that are left over from other projects. The pond itself is really easy to build and it is perfect if you are looking for something a bit more modern and contemporary than traditional round ponds. This would also be perfect if you wanted to add a few goldfish or Koi. This tire pond is not just one tire, it is several. 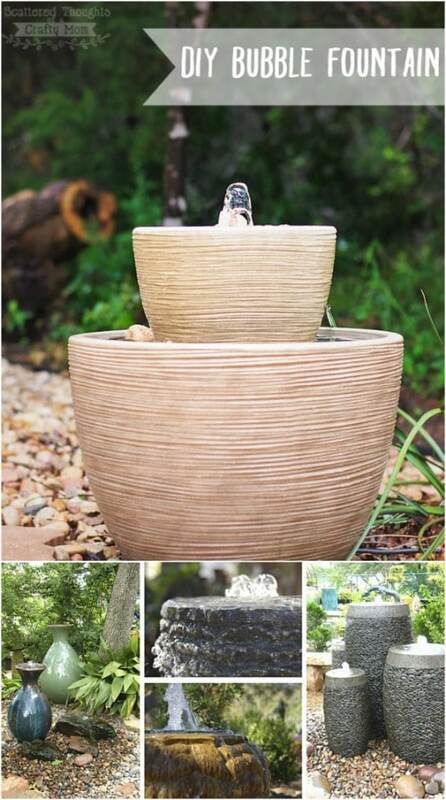 You can use tires of different sizes to create different basins and give your garden pond a really unique and natural look. You just need a collection of old used tires and a few rocks, as well as your liner and there are many options for a liner that are cheaper than a traditional pond liner. Just design your pond with as many basins as you have tires available. 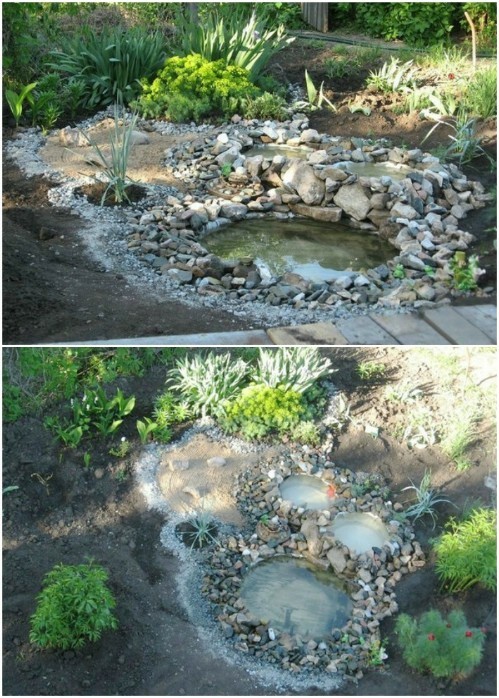 If you have the outdoor space available, this DIY pond and stream would be beautiful in your garden area or backyard. You can make the stream go as far as you want it to go and the waterfall is absolutely gorgeous at the end of it. This one really isn’t as complicated to build as it looks and it really does look like a natural stream when you get it finished. If all else fails and you just don’t have the time or the inclination to dig the pond yourself, you can buy a preformed garden pond and just drop it into the ground. The trick with this one is to find the perfect shape for the look that you are trying to achieve and to lay out your rocks to make it look gorgeous. It’s simple and you can have this one finished in just an afternoon. An outdoor fountain is a beautiful addition to any yard. 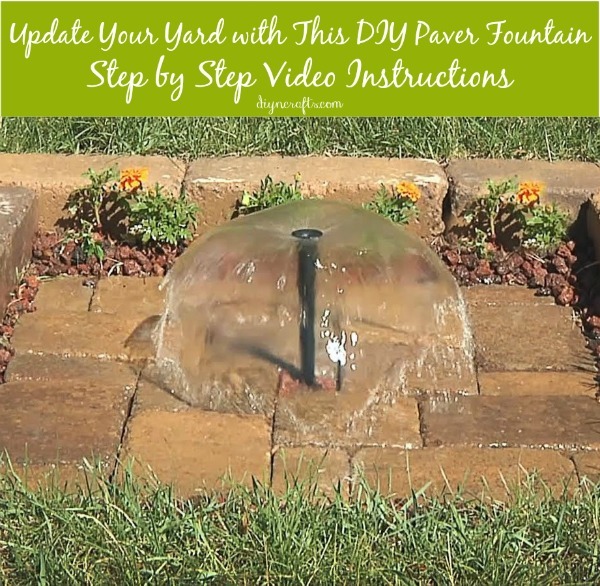 If you tend to do things yourself and prefer the DIY way, you can build your own paver fountain to update your yard and you can build it in just one weekend. The most difficult part is ensuring that you get the hole dug evenly. After that, it is just a matter of installing the pump and adding the decorative touches that you want. Flat landscaping stones are a great choice or if you live in an area that has a lot of river rock, you could use those as well. Remember to even them up when you lay them. Not only will this liven up your yard just a bit, the sound of a water fountain is very relaxing so you can enjoy your fountain to help you unwind in the evening after a hard day’s work. The fact that you built it yourself is just icing on the cake. Fountains are beautiful and making your own is probably a lot simpler than you think. 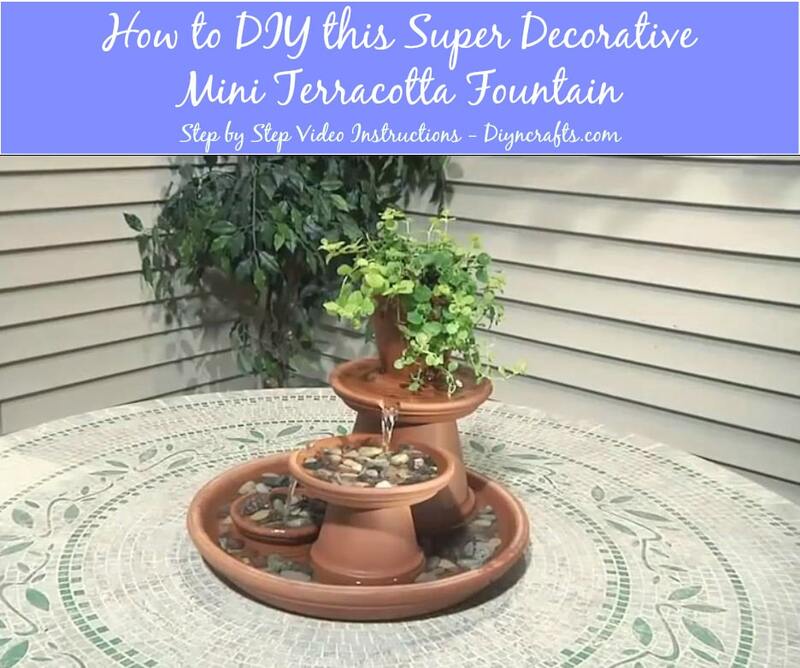 You can build your own lovely terra-cotta fountain that will fit right on your outdoor tabletop and you can do it in just a couple of hours. You will need a few terra cotta pots and saucers of varying sizes, a pump to push the water through, plastic tubing to carry the water and a drill and file. 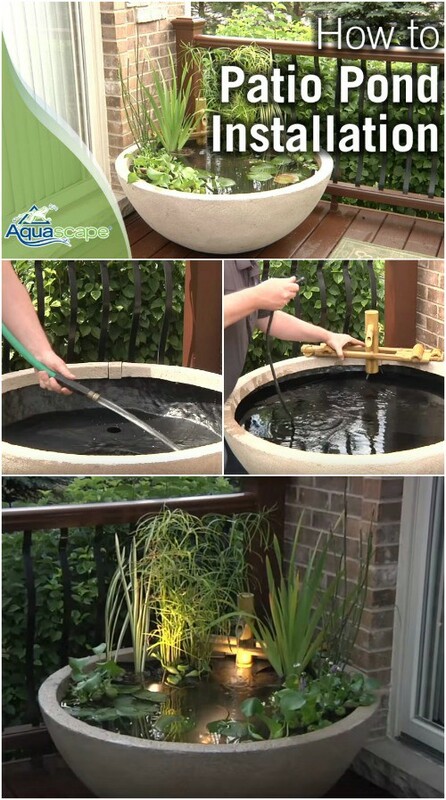 Once you have all of the supplies, you can get started creating this lovely fountain that will look great indoors or out. When you have finished putting the fountain together, adjusting the water and ensuring that everything is in place, you can decorate with decorate rocks, pea gravel, potted plants, silk greenery or really just anything that you want. You will adore the sound of water gently trickling over the fountain and friends will be amazed that you built the fountain yourself. Wow, what a fantastic backyard koi pond. I love koi pond.